Who would have thought that airports with their tedious lines and endless corridors could become so exciting? This week a new presidential order denying entry to people from several Middle Eastern countries caused consternation as immigration officers denied entry to some people with valid visas or green cards as well as all refugees. Fortunately for the country, several states protested and the courts have resisted the move and put a temporary halt on the order. Prejudice against newcomers isn’t a new sentiment in the United States. Neither is prejudice against a particular religion that is seen as a threat to the country. From Colonial times on, many Americans have suspected that Roman Catholics with their “foreign” religion were a threat to the country. One of the few writers who believed that the despised immigrants brought value to the country was Margaret Fuller. She praised the Irish immigrants for their generosity and family feeling and told her readers that they would be of great value to America. Fuller valued the contributions of other immigrants of the time too, including the Germans and Italians who could offer much to the country. My admiration for Margaret Fuller was what led me to write a biography of this brave woman. Over the years, Americans learned that Catholics did not pose a threat to American values. They became a part of mainstream American life. But fearful people continue to fear. Today we are hearing echoes of Lyman Beecher as politicians talk about the threat of Muslims and of Islamic thought. As of 2014, seven states had passed laws or ballot measures that banned Sharia law from influencing the courts. These states include Alabama, North Carolina, Arizona, Kansas, South Dakota and Tennessee. Currently the Montana legislature is arguing about the need for such a law. President Trump appears to view the world as a threatening place and to fear that people professing a religion different from what he is used to must be dangerous. As any historian could tell him, people who are not descended from the handful of English settlers, have made this country great. Fear of anyone different from ourselves leads to stagnation, not greatness. Perhaps the president should listen to a brave woman like Marie Curie who said it well: Nothing in life is to be feared, it is only to be understood. Now is the time to understand more, so that we may fear less. And if President Trump wants to gain wisdom from the presidents who preceded him, he might pay attention to the words of one of our greatest leaders, Franklin Delano Roosevelt who famously announced that The only thing we have to fear is fear itself. perhaps it’s time to celebrate some of our immigrants. Not all of them entered the country willingly or even legally, but many of them have enriched our society. This week some newspapers carried the story of the death of Zoia Horn who died at the age of 96 in Oakland, California. In the 1970s her actions started a movement that has revitalized the library profession. During the hectic anti-Vietnam War period, she refused to testify or give out information about the library borrowing records concerning an alleged plot by antiwar activists, including Daniel Berrigan. She was surprised and shocked to discover that the FBI had been tapping her phone to try to find out whether she knew about the plot. For her refusal to testify, Zoia Horn was imprisoned for a short time, but more importantly she made people aware of the danger of government intrusion into the privacy of communications between individuals. Although the American Library Association did not support Zoia Horn’s refusal at first, the organization later honored her for her work in supporting intellectual freedom. Libraries have been in the forefront of institutions that defend the privacy of their clients and refuse to make borrowing records available to government agencies. Today we worry about large tech companies that are under pressure to share information with various governments. Libraries have shown the way in which institutions can protect citizens against unwarranted intrusion. They have led the way by erasing records of past library use as soon as they are no longer needed and by refusing to be bullied into removing useful materials that may be offensive to some members of the community. The stereotype of the mousey little librarian has been disproved over and over again by the steadfastness of library support of intellectual freedom over the years. 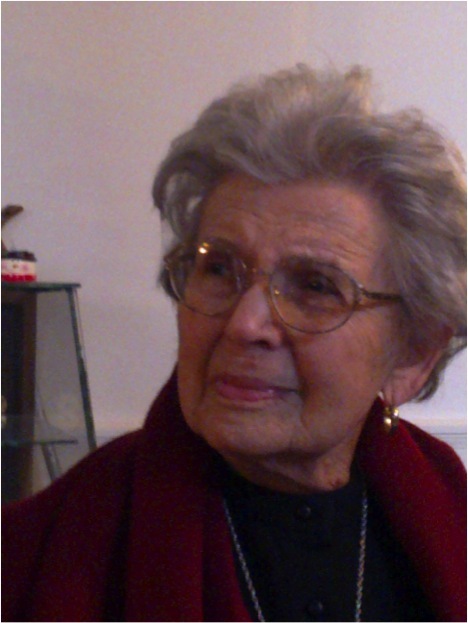 For the last thirty years Zoia Horn worked in the cause of intellectual freedom. She has been honored by the California Library Association which named its intellectual freedom medal after her. You can find the autobiography of Zoia Horn in the Open Library of the Internet Archive. It makes lively reading for anyone interested in the history of the twentieth century. Horn tells the story of how she and her family left Russia and emigrated to Canada when she was eight years old. Their final destination was the United States and they found a friend willing to smuggle them across the border. Their entrance into the country was not quite according to immigration laws, but their lives enriched America. We should keep that in mind when we consider how immigrants at our borders should be treated as they try to find their path into this country. Many of them would surely become valuable citizens and make our lives better just as Zoia Horn did.